Wow I’ve been suuuuuper quiet on the blog – not even going to check the last date I posted something here. 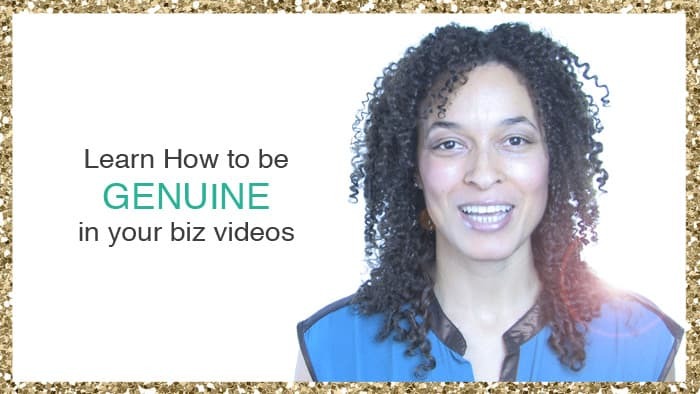 So in light of my hush-hush-ness, I’m inviting you into more of my world while also giving you a valuable video tip. I’m going through a health thing that’s testing many of my biggest dreams and goals. If you’re a dreamer like me you know how stepping into your zone of genius is vital to who you are. Confession time – I’ve been dealing with quite a bit of physical pain for the last long while. And I’ve been on bed rest orders for the past 2 months. You see, I’ve had chronic back pain since I was 24, and then eek, I had an accident in the ocean a few years ago. That accident compressed my spine and since then I’ve had several herniated discs (not fun) and a lot more daily pain. I decided to take up the baking mantle and whip up our family’s Christmas cookies. We hadn’t had them in YEARS. 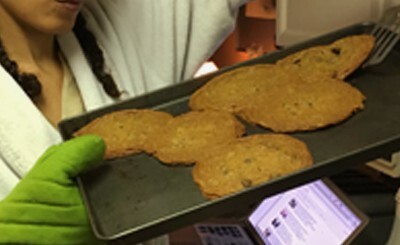 I was baking for DAYS (oh and it was my first time baking EVER)! Well….. While my belly LOVED the cookies, my spine decidedly didn’t like the process. So low and behold, a new symptom started: Intensified pain in my lower back and now, also down my leg. NOTE TO SELF: Convince someone else to do the baking this year, lol. Anyhoooo, I went to my doctor and she put me on INSTANT. BED. REST. Yep. Your virtual video director has been laying in bed (24/7), popping pain pills and anti-inflammatories for the past couple months. What if this gets worse? What if I can’t direct client videos anymore? What if I can’t direct my own movies anymore? It’s pretty scary imagining that you might have to switch up your big dreams! So last month I decided to find some inspiration. What other artists have made the most of being injured? And you know who came to mind? Acclaimed artist Frida Kahlo. She was in a terrible accident that left her in a body cast for ages. But it was while she was bed-bound that she truly discovered her voice. So I’ve been turning lemons into lemonade! I’m letting myself dream and explore. 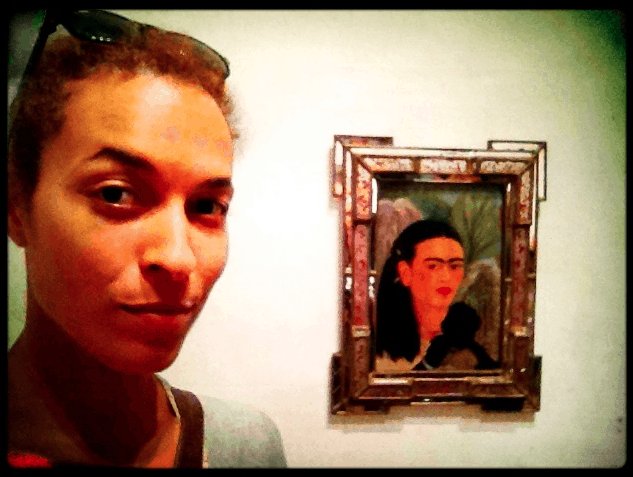 And I’m nicknaming this journey of transformation the Frida Factor! Whether it’s from an INJURY, from FEAR or even from RESISTANCE, try taking that negative energy and focus in on what you CAN do. 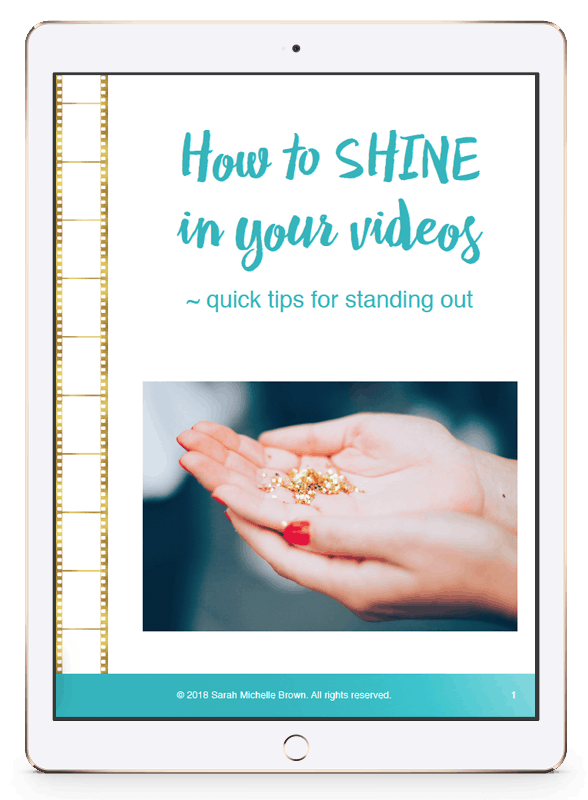 And guess what… this applies to your video journey too! Sooooo many entrepreneurs focus only on what they CAN’T do when it comes to making videos. This type of thinking Stops. Them. In. Their. Tracks. Start the journey on your own. Feel that awkward/painful GAP between where you are and where you WANT TO BE. Do the work (with guidance). In honour of the Frida Factor I’d like to gift you Step #4. I really want you to understand what YOUR next step is on your video journey. 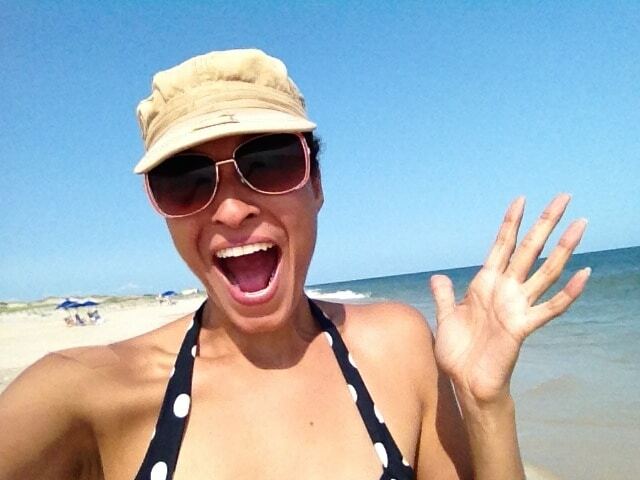 So you’re getting a complimentary 15-minute discovery call with me! Here’s to our next steps!! !